At the IAA 2018 in Hanover, Scania introduced a plug-in hybrid electric truck (PHEV) and a conventional hybrid (HEV). Both models are equipped with an inline five-cylinder Scania DC09 engine, which can run on HVO (Hydrotreated Vegetable Oil) or diesel. It works in parallel with an electric motor with a power of 130 kW (177 hp) and 1050 Nm of torque. The lithium-ion rechargeable battery’s energy window is set to 7.4 kWh to secure a long battery life. 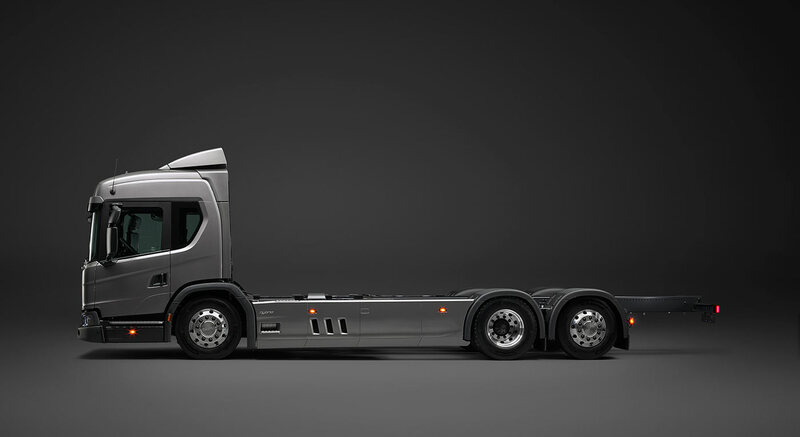 The trucks can move in fully electric mode without using an internal combustion engine. The new HEV / PHEV basically uses regenerative braking to charge lithium-ion batteries, converting kinetic energy. Auto Zero Tailpipe Emission (ZTE) mode allows you to start and move at low speeds using electric motor only. The plug-in option (PHEV) means that the truck can be charged during loading and unloading, and also when the driver is resting. For 20 minutes of charging the batteries receive up to 22 kW of electricity.